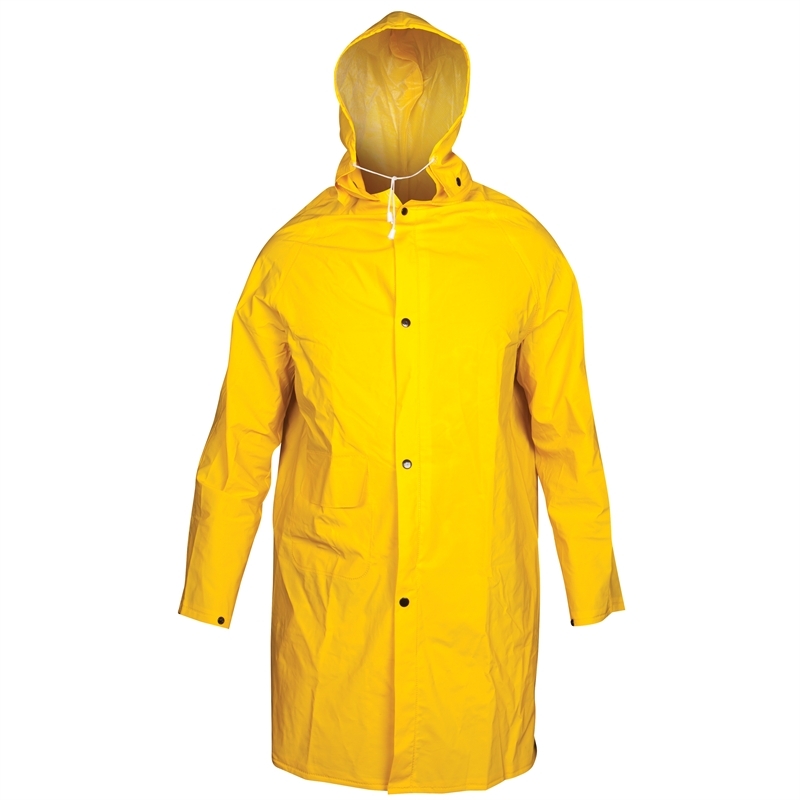 UniSafe PVC Wet Weather Raincoat made from tough, lightweight, yellow PVC coated polyester with sewn and welded seams. 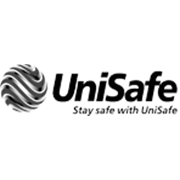 UniSafe PVC Wet Weather clothing is suitable for general industry including forestry, mining, agriculture and outdoor workers. 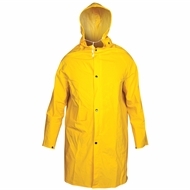 The bright yellow colour is highly visible keeping workers safe, dry and insulated in wet conditions.